Instead of sheltering passengers waiting for trains, a former railroad depot now harbors people hearing God’s Word. Rev. Everett Henes, pastor of Hillsdale OPC in Hillsdale, MI, relates how the church utilizes this newly-purchased unique structure, which consists of the original brick building and a newer steel addition. 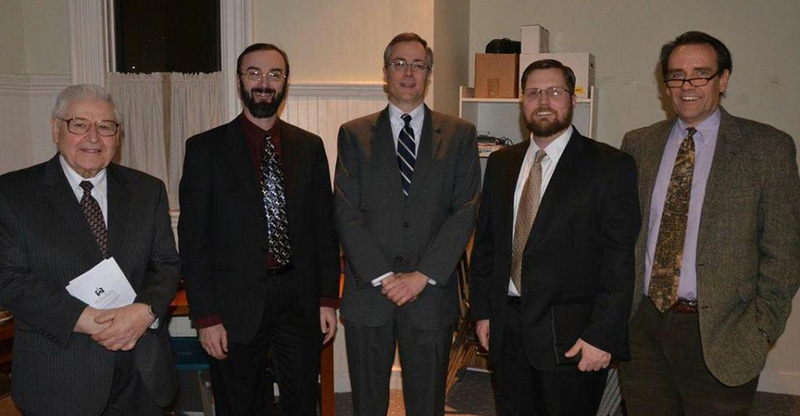 The Hillsdale OPC dedicated its new facility in a service held on January 24, 2014. Rev. Henes opened and closed the service. Rev. Dr. Peter Wallace preached the sermon. Other participants included ruling elders Dr. John Deliyannides, Dr. Darryl G. Hart, Dr. Richard M. Gamble, and Rev. Glenn Jerrell. “All those who participated either are part of the session or were part of it in the beginning.” Rev. Henes explains. Hillsdale OPC is a mission work with an overseeing session appointed by its planting church, Grace Reformed OPC in Walkerton, IN, and the Presbytery of Michigan and Ontario. Dr. Wallace functioned as the ministerial adviser for the Hillsdale group until Rev. Henes was ordained in 2008. The Hillsdale congregation formerly met on the campus of Hillsdale College, which is well-known for its academic excellence and institutional independence. The college was a leader in establishing non-discriminatory policies, but does not accept federal or state tax subsidies for any of its operations. 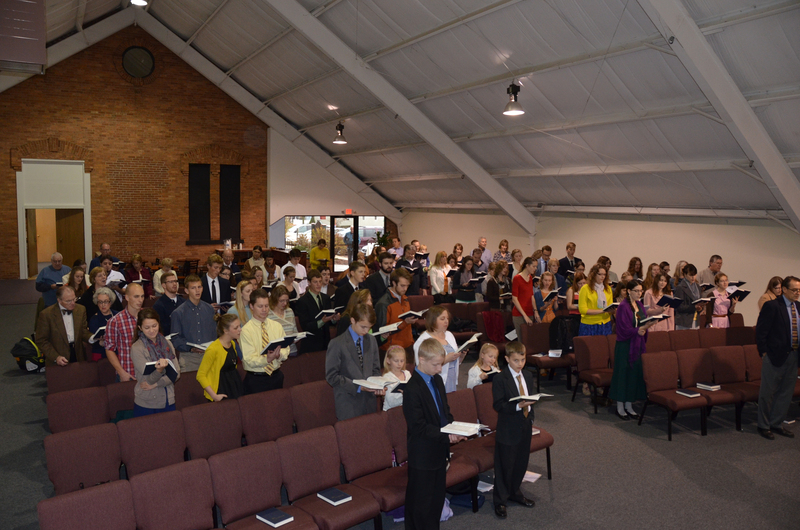 About 80 Hillsdale students regularly attend services and, in God’s providence, the new location is only three blocks from campus. It is only two blocks from the downtown area and on a main highway that runs through the city, providing high visibility and easy access. Although worship attendance fluctuates a great deal due to the high number of students, it averages over 100 during the academic year and between 40-50 during the summer. Hillsdale’s new building is not only a blend of original and recent construction that meets the church’s needs, but it is also a site that fits the church’s goals. Reaching the community is important to the Hillsdale congregation because this southern Michigan location contains few Reformed influences. Rev. Henes relates that the group started in 2007 through the efforts of 25 praying college students, three professors and their families, and one family in the community. The above article by Glenda Mathes appeared on page 8 of the March 5, 2014, issue of Christian Renewal.